Have you heard of Brain Games? It’s an excellent, semi-new show that airs on Monday nights at 9 p.m. ET/PT on The National Geographic Channel. 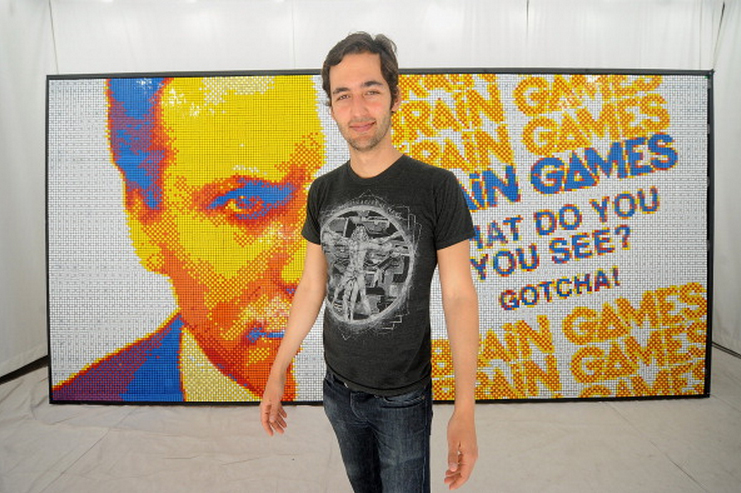 Already into its second season, the show, hosted by Jason Silva, is “chock full of interactive games and experiments designed to mess with your mind and reveal the inner-workings of your brain,” as touted on the show’s website. 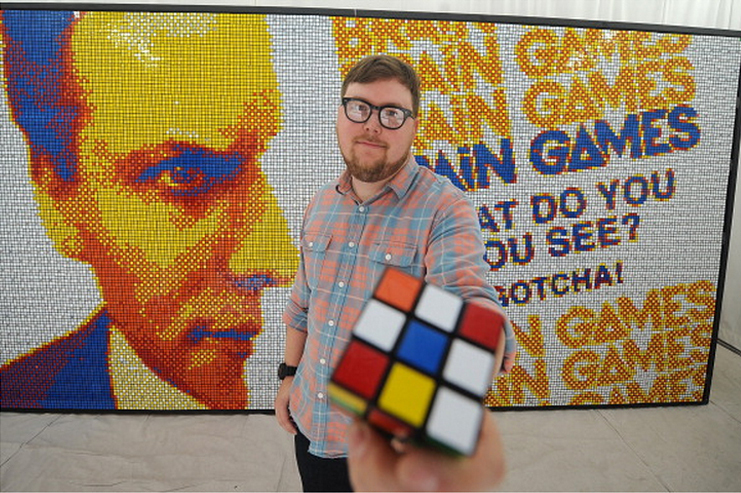 As part of its promotion for the April 22 Season 2 premier, National Geographic commissioned artist Pete Fecteau to create a large mosaic—composed of 3,612 Rubik’s Cubes—using my Houdini optical illusion. The mosaic, constructed in a high-traffic New York City storefront a few blocks south of Times Square, took Fecteau 26 hours over the course of two weeks to finish. Intended to be a temporary installation, the mosaic was on display for only two weeks. 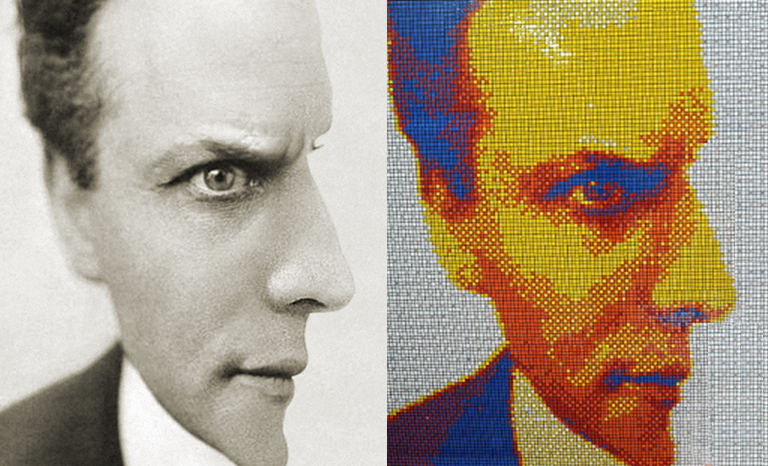 Below is a time-lapse video of Fecteau creating the mosaic. To see some still shots, browse the WireImage gallery. And if you haven’t seen Brain Games, you can watch some teasers on National Geographic’s YouTube channel or full episodes on Amazon Instant Video for between two and three bucks each. Photos of Peter Fecteau and Jason Silva courtesy of Getty Images/WireImage.